Today we have decided to dot the i’s and cross the t’s in the issue of wall-hung toilet installation. 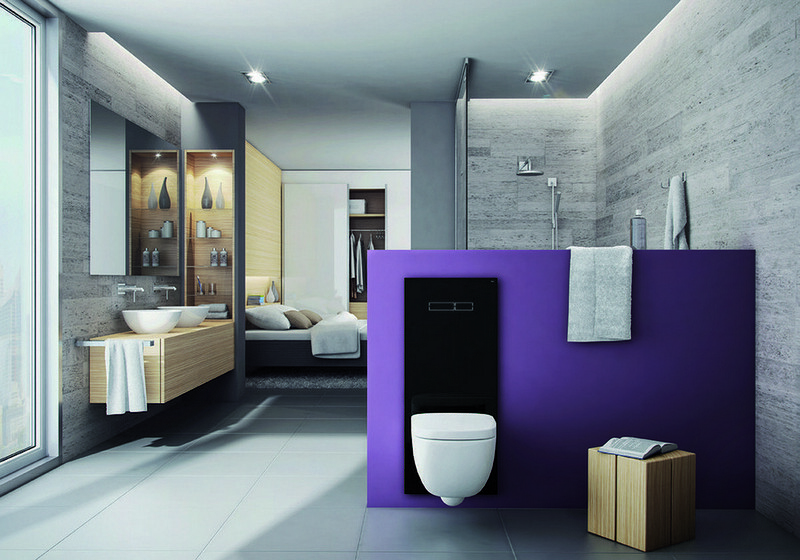 A contemporary bathroom is a barrier-free space, in which comfort and functionality play the leading role. In it nothing should obscure the view or restrict the movement. Perhaps, that is why so many homeowners give preference to “floating” sanitary ware. But what are the benefits and weaknesses of such installations? What points should be considered before buying such a toilet? Let’s see! Space-saving. Thanks to hidden tanks wall-hung toilets save about 10-15 cm of the space. But this is only true in case your tank is hidden in a wall niche. And if it’s mounted to the wall, the bowl would have the same projection as a conventional floor-mounted model has. There is a common misconception that due to concealed tanks, there’s no way to repair the pipes and the flush system in case of malfunction. Actually, such installations can be safely reached and repaired through the flush button. More durable. According to experts, the flush system of floating toilets is far more reliable than the one of the conventional toilets. Some manufacturers even provide a 10-year guarantee for it. Easy cleaning. It goes without saying that wall-hung toilets and bathrooms with such models in general are easier to clean. Consider this – an extremely plain shape, no curves, no floor joints, no p-trap connectors for rear outlet models, no hard-to-get-to places. Less noise. Given that the tank is hidden in the wall and covered with sheetrock, it’s far more silent than a conventional floor-mounted toilet. Adjustable height. Floor-mounted toilets have standard dimensions and hence leave no room for customization. As for the floating models, they can be hung at any height comfortable for a user. It’s especially relevant for the elderly and disabled people who are forced to use special raised toilet seats due to mobility issues. Aesthetics. As we already mentioned at the beginning of the post, this is the first reason why people choose wall-hung toilets: they are neat, compact, elegant and sleek. No floor tile pattern breaks. Finally, with a wall-mounted toilet you won’t have any pattern breaks on your floor finishes. Higher price. As a general rule, wall-hung toilets are more expensive than floor-mounted models. But considering the durability issue and more efficient water consumption, this purchase is expected to pay off within a couple of years. Installation time, costs and assistance. 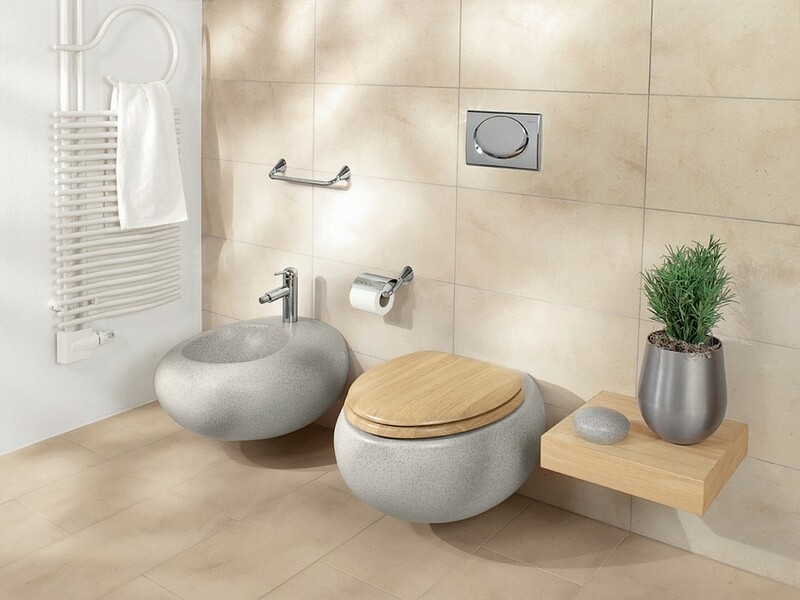 When it comes to the installation time, wall-hung toilets are greatly surpassed by floor-mounted models. Besides, the latter can be installed by your own efforts, while mounting a floating toilet always requires qualified help. Additionally, sometimes to install a wall-hung toilet you’ll need to entirely replace the pipes, which has a negative impact on both the costs and the time of installation. Wall issue. Floating toilets can’t be mounted to sheetrock walls, since the fundamental condition for them is a solid, reliable wall. That is why you’d better determine the type of the toilet you’d like to have at the stage of layout planning.